End Unit In Suwanne Stations 'The Abbey' It Is A Larger Unit With Spacious Open Living And Gas Cooking! Covered Porch Extends Entertaining To Outside. 3 Ensuites With Amazing Master Bath W/Epic Shower. Home Lives Much Larger Than A Normal Townhome. 2 Car Garage Too! Suwanee Station Amenities Included W/Low Hoa Include Clubhouse, Fitness Room, Pool, Splash Pad And Pavilion, Seven Lighted Tennis Courts, Two Pickleball Courts And A Childrens Playground. Maintained Landscaping, Lawncare, & Exterior. The average asking price of a 3 bedroom Suwanee condo in this zip code is $346,479 (5.5% more than this home). This condo is priced at $164/sqft, which is 7.8% less than similar condos in the 30024 zip code. 1460 Baygreen Rd, Suwanee GA is a condo of 2000 sqft and is currently priced at $328,400 . 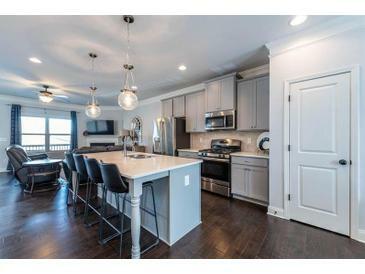 This condo has 3 bedrooms and was built in 2017. A comparable condo for sale at 461 Lilly Path Cir in Suwanee is listed at $350,000. 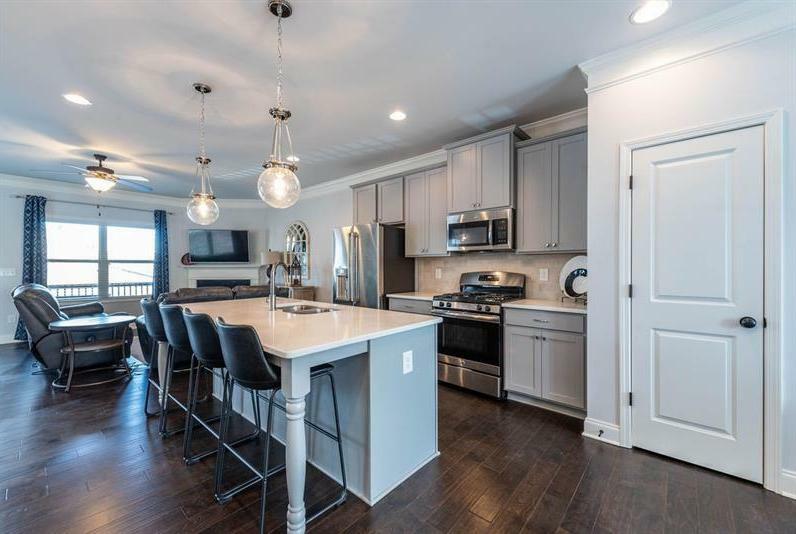 This condo on 1460 Baygreen Rd has decreased in price by $6,500 and the last change was on 2/17/2019. In addition to condos, EasyStreet also makes it easy to find Homes and Foreclosures in Suwanee, GA. Oak Park On The River, Olde Savannah Square and Shadowbrook At Town Center are nearby neighborhoods. MLS 6129528 has been posted on this site since 2/8/2019 (75 days ago).